Kite-Booking is giving you access to a targeted worldwide audience of thousands kitesurf enthusiasts that constantly seek out new destinations, kitesurf lessons, kite camps, kite trips – safaris and related products and services. Give your company a one-up in global search through our website. 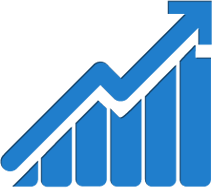 Increase your global visibility and attract potential customers. Kite-Booking.Com offers you the ability to attract more bookings by adding online and mobile sale channels to your business arsenal. 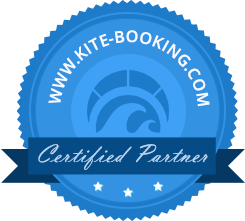 Kite-Booking.Com is designed to make the way you do business even easier while giving you the advantage of accessing your Business Page, Booking Reports & Client Messages from anywhere and any time. Set and forget! Your online bookings will work on Autopilot giving you the advantage to receive bookings 24/7 and 365. You will receive an SMS message when a new booking is placed and a detailed email straight to your inbox. Our Messenger Service is available to you, for instant and direct communication with your customers and prospects. We provide you the technology to set up a full featured business page and manage your bookings with no initial investment. No strings attached! Our commission-based model means that you pay us a commission only when you get a paying client through Kite-Booking.Com. The lowest online commission. Period! We get a small percentage of 15% on paid bookings and only after you have received the money first. Every month you’ll receive a 30-day commission invoice based on the paying bookings. The last minute travel market is growing rapidly. Now you will have the opportunity to provide your services and products to the mobile booker. Our clients make quality decisions on their kite-trips based on the information deriving from the rating system. It’s important to remember that word of mouth can give your company a competitive edge. Your Business Page works well with Social Media as it fully integrated with Facebook, Google + and Twitter. We market your business online and mobile so you can focus on providing a great service and an unforgettable experience to your customers. We are here to help and support our members whenever is needed. Our multilingual support team is here to assist you step by step. New features and tools are constantly developed both for users and businesses. Do not hesitate to contact us and ask for a feature you think will help you grow and better manage your business.